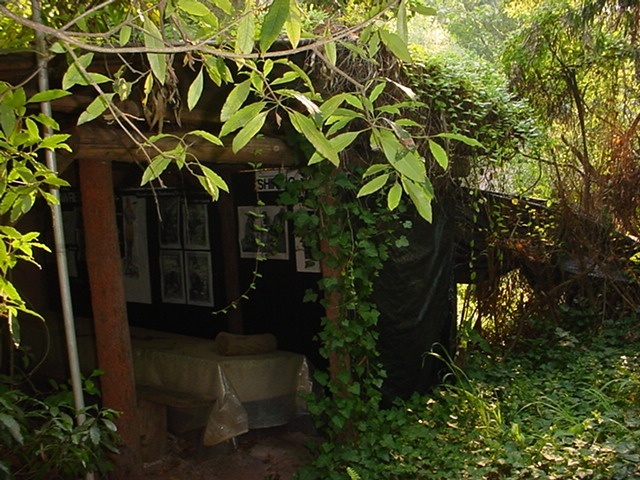 Horatio Jones House, its interior furnishings and garden setting are significant as evidence of the impact of World War One on one family and their efforts to recreate their former lifestyle in a secluded bush sanctuary away from the city, after the loss of human life and family finances. The surviving furniture and other effects are in striking contrast to the rustic nature of the building and illustrate the genteel and idiosyncratic lifestyle maintained by Jones and his sisters (Criterion B.2). 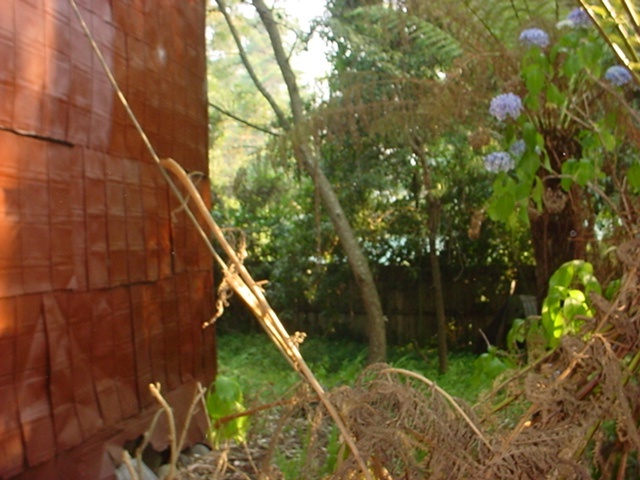 There is a pole structure near the house which Jones called his study. This has been restored. A small companionable two seater dunny is located within a separate structure which has been restored also. A plaque with the word Bliss is above the dunny. This is believed to have been placed there by C J Dennis. A third structure has been reported on the other side of Little Ferny Creek. This is C J Dennis' hut. This hut has been restored also. The interior and furniture reflects its genteel South Yarra origins which were transposed from the Jones residence there to Horatio Jones House in Tecoma. The furniture includes a piano, a port table, dining setting, brass beds and a large bed with blackwood posts. An oil painting is hung near the bath's screen and is believed to be a portrait of Horatio's fiancee, Caroline Hearst. An American flag is draped above the bed in canopy style (an accompanying Union Jack was stolen in recent years) and other wartime memorabilia is on display. The house is softened with Persian rugs, Venetian glass, crystal, fine crockery, jewellery, pictures, Italian brocade furnishing fabric and an oriental patterned screen. It is understood that tools for cutting the kerosene tins and Horatio Jones' invention, the patent rabbit exterminator, are in situ. Source: Photos in National Trust magazine and the Age descriptions 1990. Horatio Jones House is sited at the bottom of a suburban garden alongside the rear fence. It is surrounded by remnants of the fern gully and shielded by eucalypts and populated with native birds including magpies and red breasted parrots. 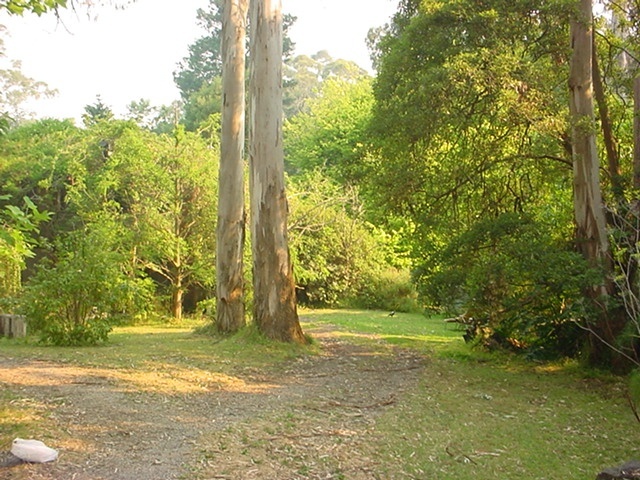 This setting is a remnant of the Dandenongs landscape at Tecoma which has been otherwise subdivided for housing. Wild flowers along the creek's side, including native orchids, add to the natural delicate atmosphere. Rhododendrons are planted down the property's driveway. The older ones were planted by Horatio. The house is situated on the banks of Little Ferny Creek and is approached by a simple wooden footbridge.